We are excited to share that a committed friend of FamilyLife has offered an incredible $500,000 matching gift! That means every dollar received by August 31 from friends like you will be DOUBLED! It could not have come at a better time: More people today are searching for biblically-based, practical help to strengthen their marriage and family than ever before. More than 57,000 people attended a Weekend to Remember® in the past year alone where couples were able to build, grow and restore their marriage by improving communication and reigniting the spark they once had. More than 100,000 people have accepted Christ as their Savior at a FamilyLife event since this ministry was founded. We know that this kind of decision is foundational to any marriage or family issue. But we also know that there are still so many more families that need help. In a culture that is increasingly hostile towards Christian values, we must increase our efforts to provide practical and biblical help to people. 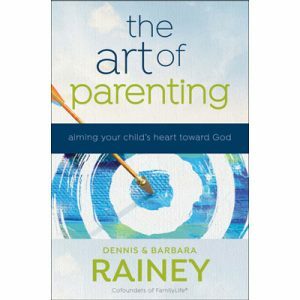 When you make your contribution today, you will receive a copy of Dennis and Barbara Rainey’s new book The Art of Parenting. We appreciate your ongoing support of FamilyLife!